The adopting of the 2017-18 school year budget in the Toms River Regional school district was a bittersweet culmination of months of work on the part of school officials. The budget, plagued by a lack of state funding, had to eliminate 17 jobs, including eight teachers, an administrator plus two secretaries, three facilities workers, one technology department employee and two security guards, most of which will be completed through attrition, said Superintendent David Healy. But on the bright side, the budget includes the formation of new academies for the district’s high schools – an Arts Academy, STEAM Academy and Business Academy, which officials hailed as a victory in creating more career-oriented programs for students. The district’s $241,428,030 spending plan rose about $6 million from last year’s $235,349,564 operating budget. The budget, plus debt service, will be supported by an increase in the tax levy of $6,920,406, to $157,529,467 – or 3.6 percent. 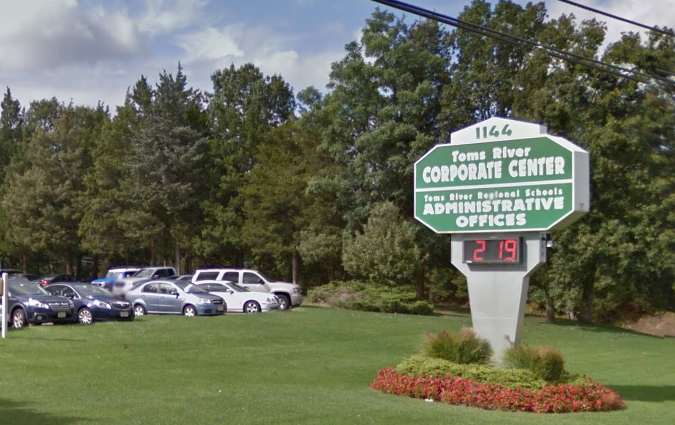 For the owner of a home valued at $267,501, the Toms River average, school taxes will rise to $3,004 this year, compared to $2899 last year – an extra $105.65. A has become customary at meeting of the regional school board, officials decried a lack of state funding as the reasoning behind the layoffs. The new budget also takes into account a new contract for teachers, which provides a 3 percent increase this year and newly-negotiated health benefits contributions which, for some staff members, lowers the amount they must pay toward their benefits. William Doering, the district’s business administrator, said for the second year in a row, funding from a maintenance reserve, this time $2 million, was applied to the operating budget to stave off a larger tax increase. Such actions are not sustainable, however. “I don’t think we should be using it as a funding source on a long-term basis,” said Doering. Doering said the 17 eliminated positions will save about $1.1 million, however employee benefits costs continue to rise.Benefits costs will rise, overall, by $2,614,295 despite the elimination of the 17 positions, primarily driven by higher employee health insurance costs to the tune of 4.9 percent. Overall, $55,578,418 will be spent on benefits programs, which also include increasing pension contribution costs. Asa suburban district, Toms River is among the more than 500 districts across the state that receive a minority of overall education aid. The 31 low-income, so-called “Abbott” districts, named for a New Jersey Supreme Court decision, receive more than 60 percent of the total state aid available. This has translated into higher tax bills and the need to employ layoffs and belt-tightening in other areas, such as security and technology, to stave off what would have been a much larger tax increase, officials said. “I’m hearing horror stories” from across the state, Board President Ben Giovine said, after recently attending a legislative hearing focused on school funding. Still, the current budget was praised by officials, who said it finally settled a long-standing contract negotiation with teachers and created the academies. “The teachers got a fair contract and that is part of this budget, and the professional academies starting in the fall are part of this budget, so there are a lot of good things in this budget,” said Giovine.